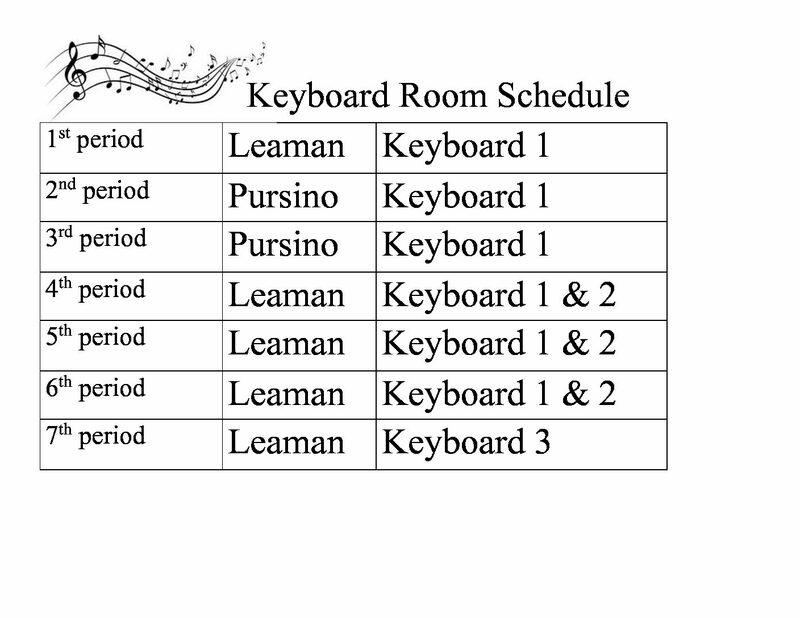 Leon High School currently offers Keyboard I, II, III & IV. This course is designed for students who wish to develop basic piano playing skills or expand their existing skills. Students will discover tools that will help them to connect to music in a meaningful way. Through a combination of group and individual playing, students will learn fundamental piano technique, music theory, practice skills and recital preparation. Student musicians will have an opportunity to learn chord theory and develop the tools to play much of the current pop/rock catalogue as well as developmentally appropriate literature from the classical music anthologies. There will be many performance opportunities starting with ‘in class’ recitals and culminating in a recital at the end of the year. Advanced students will have opportunities to perform in the community, LPA concerts and for MPA (music performance assessment) where they will receive constructive criticism and feedback from respected music educators. This is an awesome opportunity to grow as a pianist without having to pay for private lessons or a great chance for private piano students to continue & expand upon their current focus. The amount of skill you acquire is directly proportional to the amount of effort you choose to put in. Please see below for class policies. Copyright © 2019 Leon Keyboard. Designed by	Klasik Themes.